John style of coaching is based on three principles, keep it simple, maximise the golfers full potential and to have fun, enjoyment and understand the lesson. John takes great satisfaction in improving golfers and seeing them develop. John uses the Hudi Technique coaching system with voice over and email of the lesson. 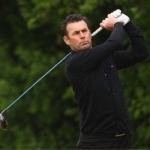 John has also written numerous golf articles for magazines including Todays Golfer, National Club Golfer and Essex Golfer.